Guru Vachaka Kovai is argueably the most authoritative text on Ramana Maharshi’s verbal teachings. The instruction here is simply to be still. Not to be attentive to anything at all – just to be. Ramana then uses the wording ‘through your powerful attention to being’. Given the first part of the verse which says not to be attentive to anything, this implies that not being attentive to any particular thing and remaining still and aware is synonymous with ‘attention to being’. This means that being is not something to be attentive of, ie. being is not an object of attention, but ‘attention to being’ is simply the state of being aware but not have your awareness focused on any particular thing. There is no reaching the Self. If the Self were to be reached, it would mean that the Self is not now and here, but that it should be got anew. What is got afresh will also be lost. So it will be impermanent. What is not permanent is not worth striving for. So, I say, the Self is not reached. You are the Self; you are already That. 349. Having restrained the deceitful senses, and having abandoned mental concepts, you should stand aloof in your real nature. In that state of Self-Abidance in which you remain firmly established in the consciousness of the Heart, Sivam will reveal itself. In verse 348 we can see how here the emphasis is on freedom from concepts and thoughts. When the ‘I am the body’ idea has been completely extinguished, then ignorance, the cause of suffering, has been rooted out, and all that remains is Reality, which in this verse Ramana calls ‘the non-dual expanse of consciousness’ or ‘God’. 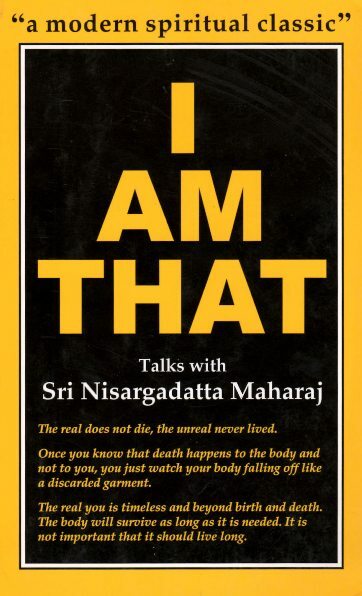 It is worth noting that this is not simply an insight teaching, but also a purification teaching in which, over time, through the repeated practice of ‘self-abidance’, the ignorance ‘I am the body’ is uprooted. Only when this is done is the vision of God fully realised. Again, in verse 349, a similar concept is explored in a slightly different way. The senses here are termed ‘deceitful’ meaning that they promise pleasure and fulfillment when really pursuit of pleasure and fulfillment through the senses actually leads only to the perpetuation of the cycle of suffering. Therefore we turn away from objects as sources of fulfillment and also we ‘abandon mental concepts’. Once we have done this, we are already standing ‘aloof in our real nature’. Standing in our real nature is not something we have to do, but it naturally arises once we stop attending to objects and thoughts (which are subtle objects). The latter part of verse 349 says we should ‘remain firmly established’ in this stillness. Here, this state is also called ‘the Heart’. The ‘remain firmly’ implies the importance of practice, ie. remaining in this state for sometime. Only then will it have it effect of God-realisation or ‘Sivam revealing itself’, which is when the ignorance of the false ‘I’ has been rooted out through repeated practice. Again, it is worth noting that unlike insight teachings which simply point out the presence of awareness/consciousness, this teaching goes further and asks us to ‘remain in that awareness’ in order for ignorance to be uprooted. In this context, remain in awareness is just a phrase to mean that we don’t seek outwardly through objects such as sense objects (gross objects) or thoughts and concepts (ie. subtle objects). 350. The true vision of reality that is free from veiling ignorance is the state in which one shines in the Heart as the ocean of bliss, the inundation of grace. In the mauna experience that surges there as wholly Self, and which is impossible to think about, not a trace of grief or discontent exists for the jiva. Do you know for certain that you are not the body? The honest answer to both these questions is ‘no’. Then once the work is done, like the thorn used to remove a thorn, throw them both away. Reality is simply whatever is left over when concepts of self and no-self are no longer believed in. Reality is the ineffable indescribable indefinable ever-obvious ever-present ‘now’. Nisargadatta Maharaj: If my real self is peace and love, why is it so restless? Nisargadatta Mahara: It is not your real being that is restless, but its reflection in the mind appears restless because the mind is restless. It is just like the reflection of the moon in the water stirred by the wind. The wind of desire stirs the mind and the ‘me’, which is but a reflection of the Self in the mind, appears changeful. But these ideas of movement, of restlessness, of pleasure and pain are all in the mind. The Self stands beyond the mind, aware, but unconcerned.